We had a quick chat with Kelvin about the changes he’s made for this outstanding mod. First things first, any Mech looking build has got to have articulation, else it’s just a statue. Kelvin got inspiration from his earlier modification of the Ninjago Fire Mech (70615) to give the bottom half a bit more articulation. 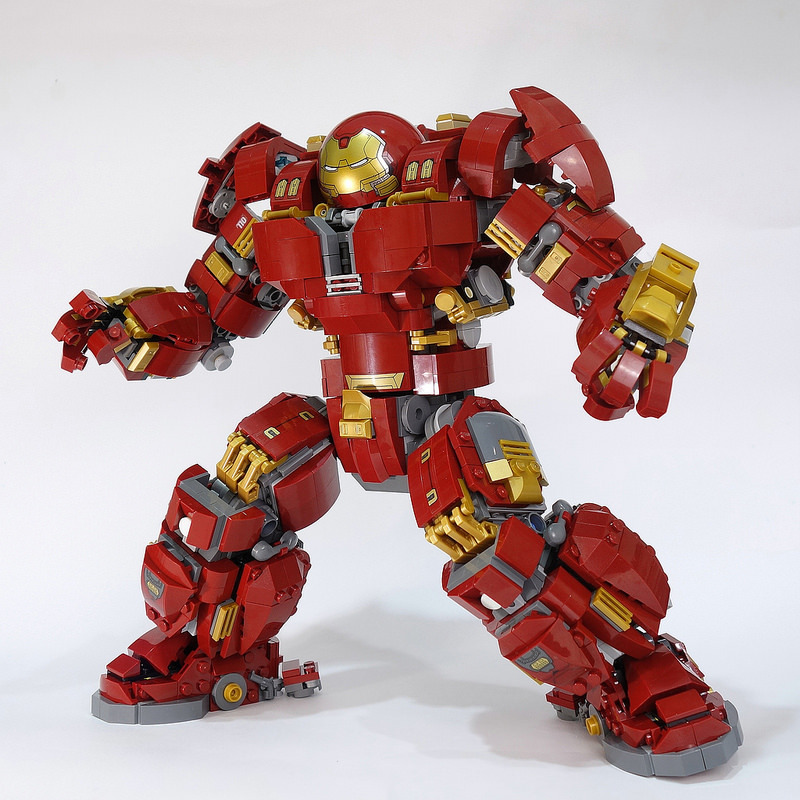 In its original design, the Hulkbuster UE simply does not have any form articulation at its lower limbs. 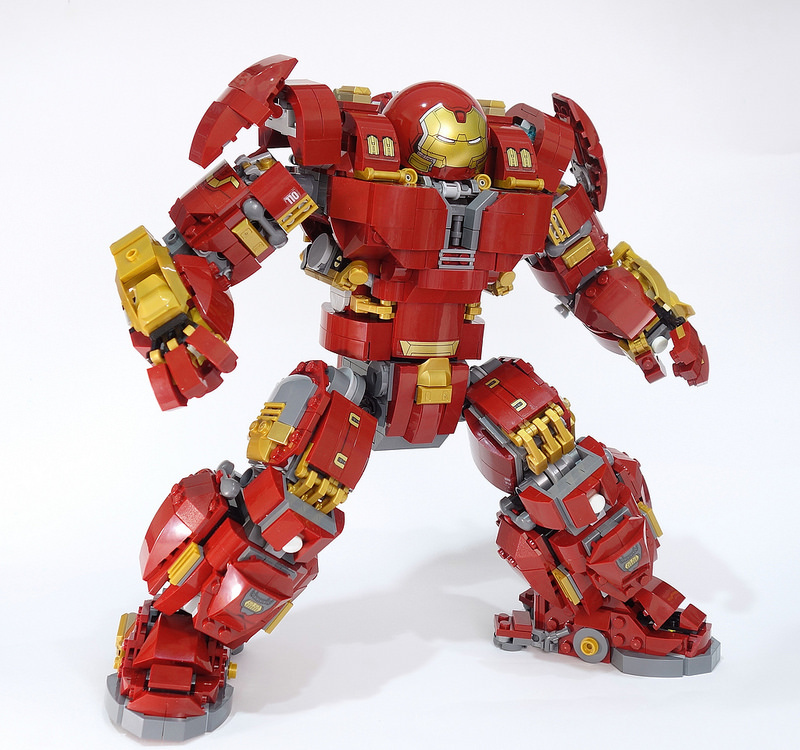 While still using 90% of the original Hulkbuster UE another change was to add height to the shoulders and also resolving the eyesore of the two blue technic pins sticking out like a sore thumb. He’s added greebling to the neck area and raised the chest thickness by 2 plates to give it a better bulk effect. The forearm pads have been increased. 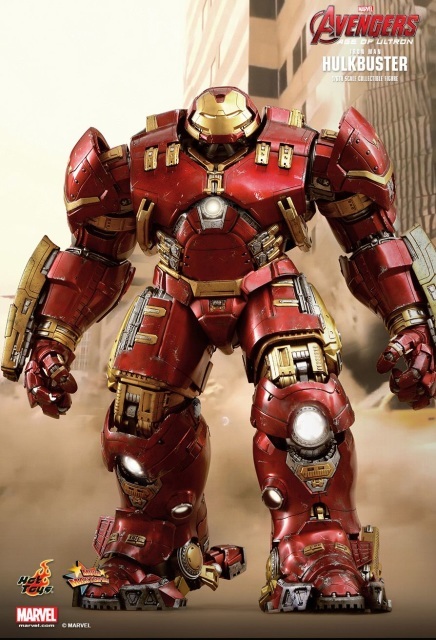 Kelvin says his general inspiration and reference has been the Hot Toys version, a company that always ensures quality with very accurate models of characters they release. There are still lots of changes, but Kelvin says, I’m going to leave it up to the viewer to discover them! Saw Chubby brick’s video. 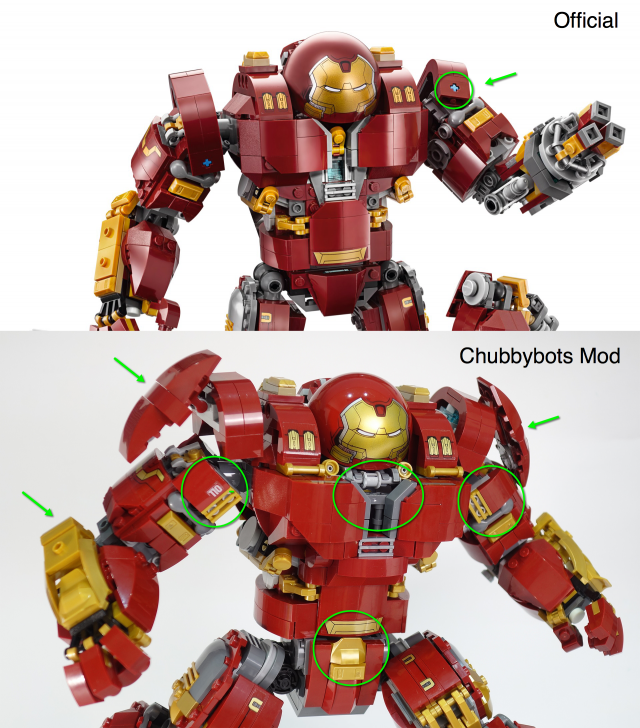 Just a great Mod to the Hulkbuster. For the extra pieces, on the video just pause. It’s not a lone video and it’s real easy the way he shows each part. The most important thing to get are the leg joints from NinjaGo’s Water Strider. Now the hunt begins to find the parts. 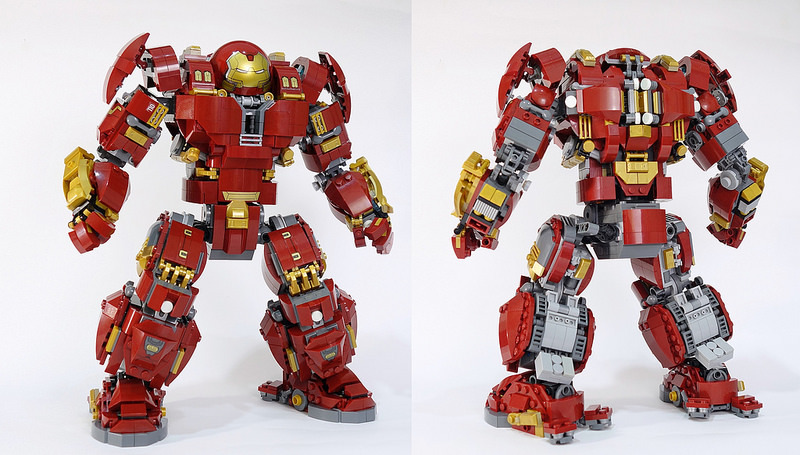 this is so awesome, Lego shud pay this guy and give everone the parts for free. right, like that wud happen!